Tests made on consumer products have recently discovered that many different types of rice products contain different amounts of arsenic. Researchers tested sushi rice, jasmine and basmati for artificial arsenic that can be a more dangerous chemical than the natural one, which is found naturally in the environment. 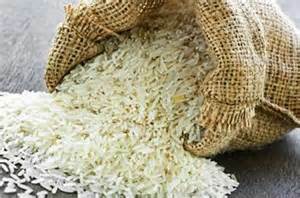 Basmati and Pakistan rice, from California and India has the lowest tested levels of arsenic out of all the products. Even though it is rich with nutrients, it was confirmed that it contains a larger amount of arsenic than normal white rice. Grains like millet, quinoa, amaranth and barley amongst the consumer products tested, contained the lowest amounts of arsenic. Arsenic can be found in many foods such as vegetables grains and fruits, confirmed a nutrition and health editor. Small amounts are found in plants that absorb it from soil, with rice being the plant that absorbs it the easiest. Although federal limits for amounts of arsenic do not exist, the U.S. Food and Drug Administration has said consuming it in a balanced diet can be safe. However, longer exposure to large quantities can produce lung, bladder and skin cancer. This in turn makes the FDA monitor toxic elements in imported and domestic goods including arsenic. The United States Rice Federation confirms that the studies the FDA conducted show that the amount of arsenic in rice in the U.S. is not a concern to the health of consumers. However, because of certain recent discoveries, Consumer Reports wants to have limits for arsenic made for fruit juices, rice, and are asking the FDA to do so. This Tuesday, a member of Congress released a statement, which supports findings made by Consumer Reports saying that limits should be imposed to make sure the country’s food is safe for its citizens. Two years ago, the congresswoman introduced legislation requiring a maximum limit in rice products. Levels of arsenic can be found in many products consumed by people in the U.S. The recent study indicates that the arsenic can be dangerous if found in certain levels but no hard evidence was available to prove that.